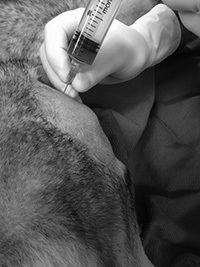 Skylos Sports Medicine is pleased to be one of only a handful of canine specialty practices in the country with a veterinarian board certified not only by the American Board of Veterinary Surgeons (ACVS), but also by the American College of Veterinary Sports Medicine and Rehabilitation (ACVSMR). The American College of Sports Medicine and Rehabilitation is a new specialty college recently recognized by the AVMA. Credentials to be entitled to sit for the exam are quite rigorous, and a wealth of knowledge and experience in numerous topics is required. The field of Sports Medicine encompasses rehabilitation of the canine athlete, as well as exercise physiology and conditioning for individual breeds and sports. 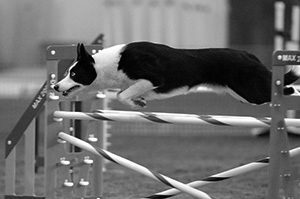 At Skylos we take pride in understanding the unique physical and mental demands of working and performing canines and feel this is imperative to returning dogs to sport. Additionally, we provide performance-based fitness evaluations, return-to-sport conditioning and maintenance, and teaching focused on injury prevention. Whether treatments are surgical or non-surgical, we are integrated to ensure a complete recovery with optimized downtime. In many sports-related injuries of the soft tissues, we use Orthobiologics in conjunction with rehabilitation to avoid the need for surgery. Orthobiologics are products which are made from substances that are naturally found in the body. The most common forms of orthobiologics used at Skylos Sports Medicine are platelet rich plasma (PRP) and stem cell therapy (SCT). PRP and SCT are used to improve the healing process of broken bones and injured muscles, tendons, and ligaments. To learn more about the processing of platelet rich plasma, see Angel System animation at Arthrex.com.